A detective who was shot by a suspect near the Kansas Speedway on Monday afternoon has died, according to the Kansas City Kansas (KCK) Police Department. KCK police said around 12:17 p.m. Monday a call was put out regarding a suspicious person at the nearby Hollywood Casino. Officers responded to the call. Police said when officers made contact with the suspicious party he fled the scene on foot. Several officers gave chase. 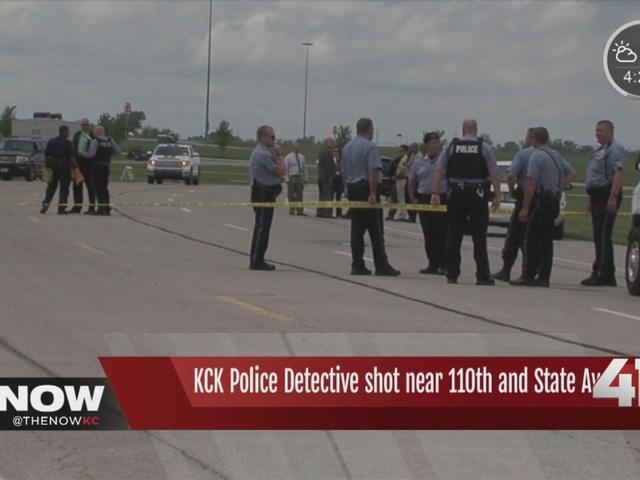 KCK police said a detective who was in the area went to assist the officers at which time the suspect opened fire, striking the detective several times. 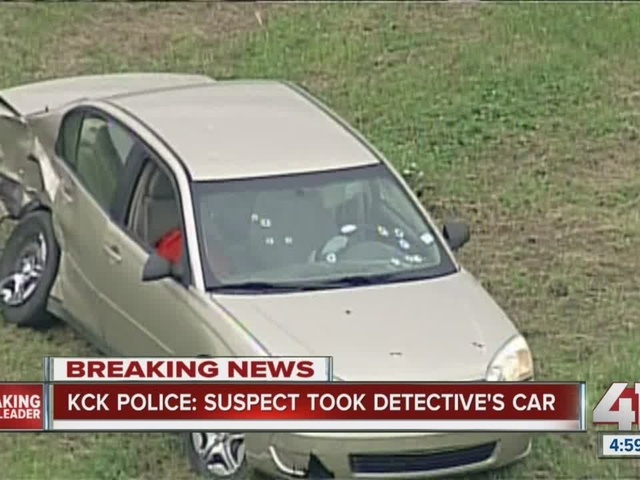 Police said the suspect fled in the detective's vehicle. The detective was taken to KU Medical Center where he later died from his injuries. The KCK Fraternal Order of Police identified the detective as Brad Lancaster. The suspect, who police say is Curtis Ayers, crashed the detective's vehicle. Ayers then carjacked a different vehicle with a woman and children inside. They got out unharmed, according to officials. Ayers was shot near Highway 71 and Bannister by Kansas City, Mo. (KCMO) police and is in serious condition, officials say. KCMO officers were notified by Kansas law enforcement around 2:30 p.m. about Ayers. Kansas officers were pursuing Ayers when he crashed on the highway. Officials say he got out of the car and ran up to 71 Highway where he shot a woman and tried to take her car. 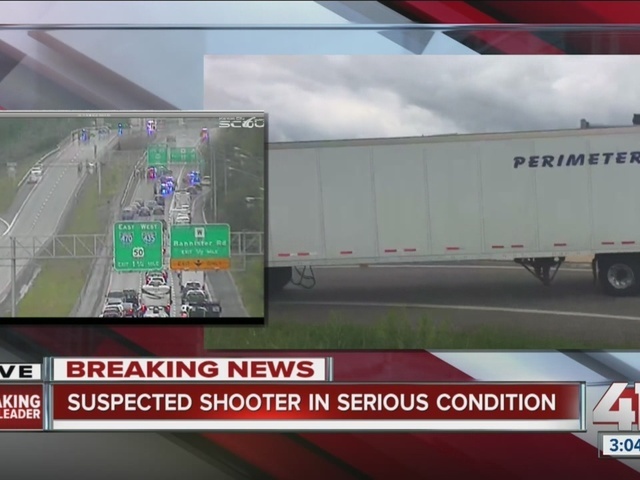 "This individual was very dangerous. We are so happy that this individual is in custody. Thanks to the collaboration and hard work of our Kansas partners in law enforcement. We are so glad this situation has come to an end," said Sgt. Kari Thompson, KCPD spokeswoman. The woman suffered shoulder and chest injuries, police said.